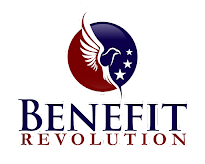 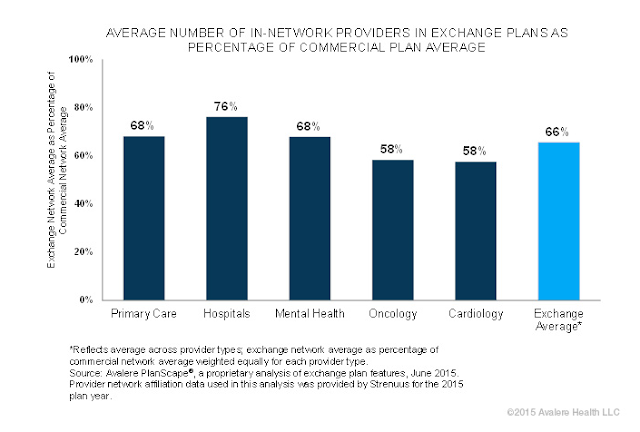 The average provider networks for plans offered on the health insurance exchanges created by the Affordable Care Act (ACA) include 34 percent fewer providers than the average commercial plan offered outside the exchange. 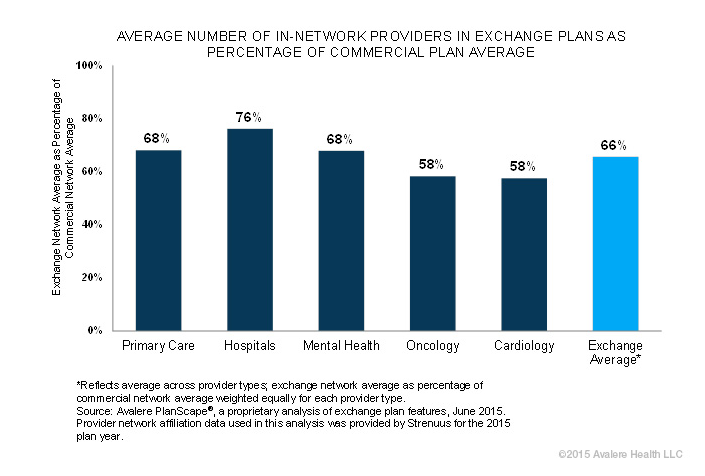 Exchange plan networks include 42 percent fewer oncology and cardiology specialists; 32 percent fewer mental health and primary care providers; and 24 percent fewer hospitals. Importantly, care provided by out-of-network providers does not count toward the out-of-pocket limits put in place by the ACA.